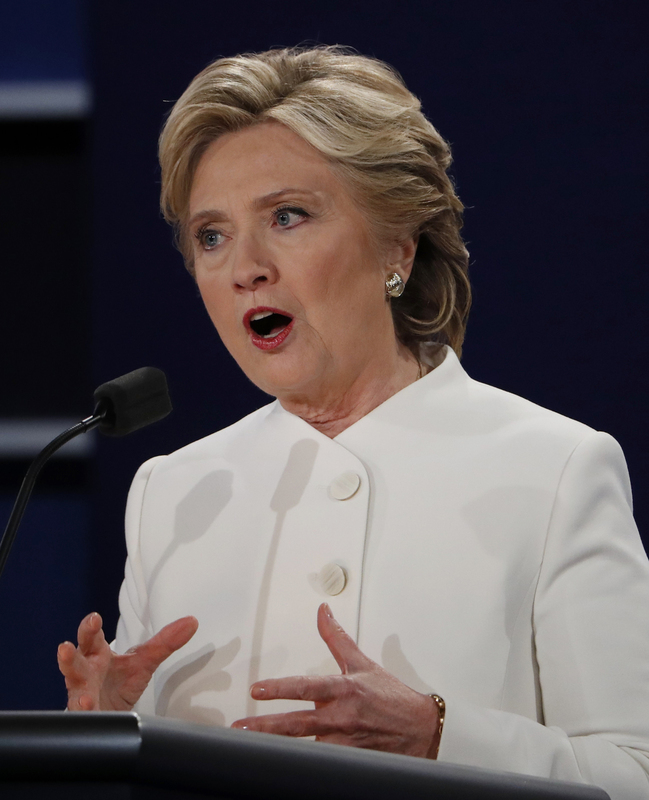 Opinion polls, statistical prediction models and betting markets are now all predicting a fairly comfortable victory for Hilary Clinton in the United States presidential election. However, they all said much the same about the prospect of British voters opting to remain in the European Union, before a majority of them actually voted to leave at the Brexit referendum in June. In Brexit those wanting “change” felt much more strongly about it and were thus more inclined to vote, than those favouring the status quo. This might also be the case with Trump voters. So the possibility of a Trump victory can’t be entirely dismissed – and the possible economic consequences of such an outcome are worth considering. Precisely because a triumph for Trump has by now been so widely discounted – including by the financial markets – this outcome would prompt a much larger financial market reaction than a Clinton victory. The financial market reaction to a Trump victory in the US presidential race is likely to be sharper. 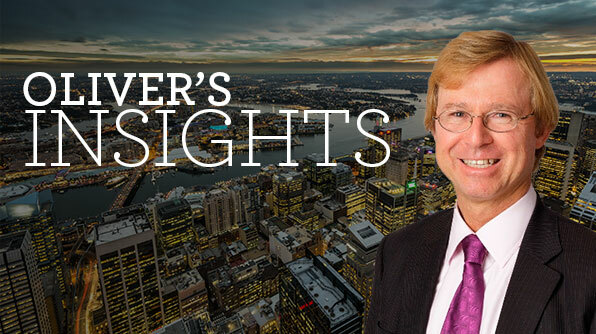 As the Reserve Bank of Australia governor Philip Lowe noted earlier this month, “the possible election of President Trump wouldn’t be as benign an event”, as Brexit turned out to be. A paper published this week by Justin Wolfers and Eric Zitzewitz (of the University of Michigan and Dartmouth College, respectively) suggests that the US, UK and Asian share markets could fall by 10-15%, and that the Mexican peso would fall by 25%, in the event of a Trump victory. 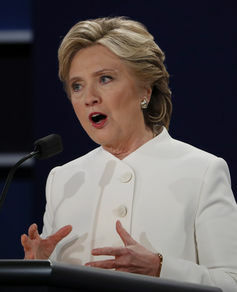 By contrast, the spending and tax measures (cuts for some, increases for others) advocated by Hilary Clinton would boost public debt by US$200 billion, to 86% of GDP, over the next decade. A more recent analysis of Donald Trump’s tax proposals by the Urban Institute and Brookings Institution’s Tax Policy Center suggests that they would increase US Federal debt by US$7.2 trillion over a decade. While both candidates assert that their policy proposals would boost economic growth, which would in turn result in lower (rather than higher) budget deficits, the Committee for a Responsible Federal Budget (CRFB) calculates that economic growth would need to average 3.5% per annum over the next decade in order to stabilise the debt-to-GDP ratio without further tax increases. According to the CRFB, that would “likely require a level of productivity growth that has not been achieved in any decade in modern history”. Whereas the same objective would require economic growth averaging 2.7% per annum under Hillary Clinton’s proposals. Beyond these concerns to mainstream economists, the Republican candidate’s attitude to longstanding US strategic alliances – with European countries, Japan and Korea – threatens to create much greater political uncertainty around the world. It may even prompt an “arms race” entailing greater proliferation of nuclear weapons. It’s important to note that not all of the foregoing concerns will be completely alleviated should, as seems more likely, Hillary Clinton becoms the 45th President of the United States. If that result were to be accompanied by a “clean sweep” of both the Senate and (less likely) the House of Representatives, left-wing Democrats such as Elizabeth Warren and Bernie Sanders will have a much larger influence on US economic policy. The differences between Donald Trump and the left wing of the Democratic Party on trade policy, or on the independence of the Federal Reserve, are in reality quite small. So while a Clinton victory on 8th November is much the better outcome from an Australian perspective, it would not be in Australia’s interests for her to win too well. This article provides a handy reference guide for the assets test changes effective 1 January 2017. The quick reference tables allow you to look up the rate of annual Age Pension payable for various levels of assets under the current asset test rules (as at 20 September 2016) and the new asset test rules (as at 1 January 2017). Assets test taper rate: $3pf for every $1,000 over the lower threshold. Upper threshold is a calculated value assuming maximum pension at 1 July 2016 is indexed by 1.5% to 1 January 2017. The actual upper thresholds on 1 January 2017 may be different to those shown here. Age Pension entitlement as at 20 September 2016 is calculated using the current taper rate of $1.50 pf for every $1,000 over the lower threshold. The Age Pension entitlement is the lower of the assets test and the income test. The maximum age pension is estimated by indexing maximum pension at 1 July 2016 by 1.5% and asset thresholds on 1 July 2016. Age Pension entitlement is calculated using the 1 January 2017 taper rate of $3 pf for every $1,000 over the lower threshold. The Age Pension entitlement is the lower of the assets test and the income test. The maximum age pension is estimated by indexing maximum pension at 1 July 2016 by 1.5% and legislated lower asset threshold as at 1 January 2017. The information contained in this update is based on the understanding Colonial First State Investments Limited ABN 98 002 348 352, AFS Licence 232468 (Colonial First State) has of the relevant Australian laws as at 1 July 2016. As these laws are subject to change you should refer to a professional adviser for the most up-to-date information. The information is for adviser use only and is not a substitute for investors seeking advice. While all care has been taken in the preparation of this document (using sources believed to be reliable and accurate), no person, including Colonial First State or any other member of the Commonwealth Bank group of companies, accepts responsibility for any loss suffered by any person arising from reliance on this information. This update is not financial product advice and does not take into account any individual’s objectives, financial situation or needs. Any examples are for illustrative purposes only and actual risks and benefits will vary depending on each investor’s individual circumstances. You should form your own opinion and take your own legal, taxation and financial advice on the application of the information to your business and your clients. Colonial First State is not a registered tax (financial) adviser under the Tax Agent Services Act 2009 and you should seek tax advice from a registered tax agent or a registered tax (financial) adviser if you intend to rely on this information to satisfy the liabilities or obligations or claim entitlements that arise, or could arise, under a taxation law. Bank's fail because they are 1) illiquid 2) insolvent or 3) both. Deutsche Bank does not have a liquidity problem. They hold EUR 200bn of highly liquid assets (12.5% of the balance sheet) which are enough to withstand a serious bank run. But ultimately is doesn't matter, because the ECB can and will provide unlimited liquidity support to the bank, if needed. The solvency question in more nuanced. Normally banks become insolvent because they can't recover money from borrowers or counterparties, they don't have as many assets as they thought. But the value of Deutsche bank's asset isn't being questioned. Rather, its the value of their liabilities that has the market in a spin. According to its latest disclosure Deutsche Bank faces 14 sets of legal actions. These are contingent liabilities because Deutsche only has to pay if it loses a case. Both the probability of losing those cases and the amount they would have to pay are unknown today. Deutsche makes an estimate and has set aside EUR 5.5bn for these contingencies. It recently emerged that the US Dept of Justice (DOJ) has offered to settle the largest of these actions for EUR 13bn. Of the EUR 5.5bn Deutsche has provisioned for these contingent liabilties, EUR 3.5bn is thought to be ear-marked for this particular case. This leaves Deutsche Bank EUR 9bn short. It also raises the question of whether the EUR 2bn of reserves set aside for the remaining 13 cases is sufficient or if more will be needed. Answsers are not forthcoming, most likely because they are unknowable. Remember, this is a proposed settlement, not a penalty awarded by a court. And the DOJ has a history of 'high balling' and then negotiating down. For example Goldman Sachs was hit with a similar figure and ultimately settled for US $5bn. EUR 9bn is therefore a worst case scenario. Against this EUR 9bn claim and 13 other outstanding cases, Deutsche Bank has EUR 120bn of loss absorbing capital and, under basic assumptions, around EUR 4bn in annual earnings. There is simply no reasonable chance that these litigation costs will cause a loss to the bank's depositors, clients or counterparties, let alone trigger a systemic crisis. It is possible, however, that shareholders and the holders of some equity-like instruments may end up taking a hit. This relates to a second problem. While Deutsche meets its capital requirements today, the required level of capital will ratchet up each year until 2019, its a moving target. By the end of 2019 the bank will need EUR 49bn of capital, and it currently has EUR 43.5bn. This leaves a EUR 5.5bn shortfall that has to be progressively closed over three and a half years. There are a lot of moving parts. They may end up settling for well under EUR 13bn with the DOJ. But equally, earnings are volatile in this business and may end up being significantly lower than EUR 4bn. There is little in the way of a margin of safety, particularly where fear-driven clients choose to close accounts or cut relationships because of bad press. However this is reflected in the stock price. The shares are curently trading at roughly a 75% discount to book value. 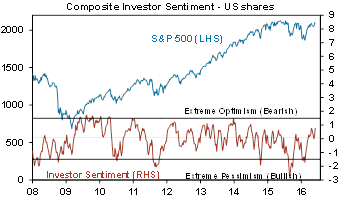 This indicates that the market is pricing in a reasonably high likelihood of a dilutive capital raising. Holders of some hybrid instruments are at risk if the bank's capital falls below a certain trigger level, which would trigger the automatic conversion of these bonds into equity. This seems unlikely under current circumstances as it is hard to see how the issues described above would erode capital so much as to trigger a conversion. However they are now vulnerable should the bank experience a second or third unexpected shock. Hamish Douglass (CEO Magellan Financial Group) talks about 3 macro economic issues that investors should be thinking about at the moment. Hamish believes that investors need to be thinking about rising long term interest rates, Italian financial system and China. He is considered one of the best investors in Australia and his views are widely sought after. 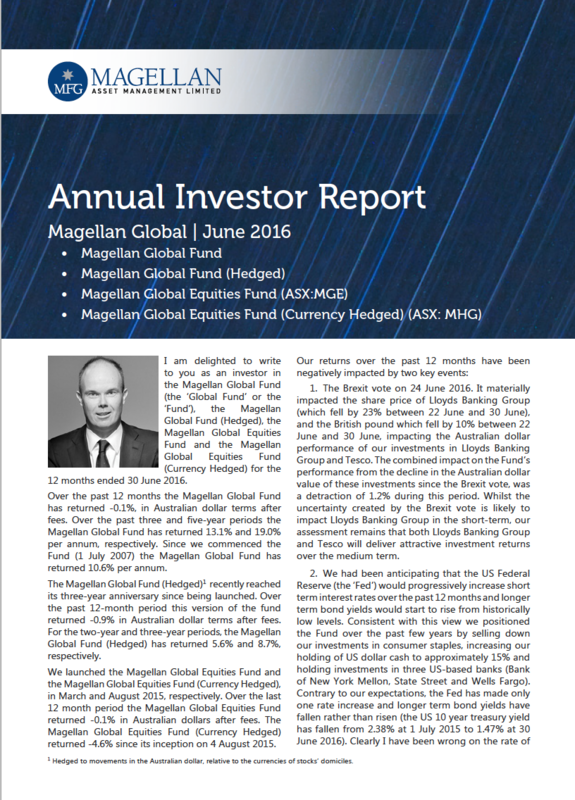 He also talks about recent moves he has made in the fund he manages - Magellan Global Fund. European Refugee Crisis - last straw for the EU? Germany has taken in 1 million refugees in the last 12 months, and there are plenty of signs that the refugee crisis is taking its toll on social harmony in Europe. A couple of months ago we spoke with Clay Smolinski on how the European refugee crisis is impacting investment decisions. Here is a transcript of the video for those who prefer to read the interview. Mark Draper: Here with Clay Smolinski from Platinum Asset Management and the Europeans have been through a lot really in the last decade and they’ve got plenty of coming up. One of them has to do with the refugee crisis there. So we just want to spend a couple of minutes looking at the investment aspects of the European refugee crisis. Can you just take us through your thinking on that? Clay Smolinski: Yeah, absolutely. So the refugee crisis for me, the issue is – the risk of it is that it’s another challenge that the political will of the European Union needs to face. For me the crisis alone probably wouldn’t be a huge deal for the union but the issue is that it comes on top of a lot of the problems, those individual – the union of countries has had to face over the last few years. So we think about the union. Through the sovereign crisis, they got through the major battle, which was the economic battle needing to cut the budget deficits, needing to where – you know, that higher unemployment that that caused. From the economic perspective, we can fairly definitively point that that battle has been won. The economy is now recovering but that has left that political will far weaker. Since then we’ve seen that in subsequent elections, more radical left or right wing parties have been voted in. Examples of this would be Podemos in Spain or Syriza in Greece. We now have major members like the UK going to referendum on deciding whether it’s an exit or not and now we have the refugee crisis and immigration is always a very politically-charged issue and it’s clear that the member countries have differed in their views on how to exit, on how to handle it. That just creates – it’s another issue. It’s another reason for people to get upset, the voting populous and maybe vote for an exit. 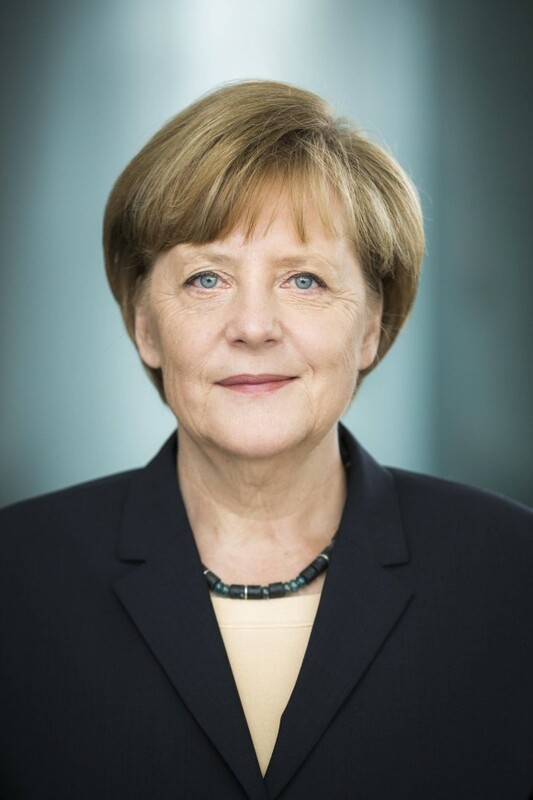 What is interesting for us as well and is a bit of mitigant to that is how Germany is – has behaved through this and certainly through the sovereign crisis, the response to that crisis was very much dictated by Germany and that has forced a lot of the other member countries to go through a lot of pain. Mark Draper: So a major risk here would seem political for that in terms of the uprising of hard left or hard right – well, probably hard right in this situation. Clay Smolinski: It’s very hard to factor that back into a definitive investment decision but it’s certainly something that we need to keep in mind and often when you compare the European market to the US market, the European market does trade at a valuation discount. But I think at least some of that discount is warranted given the – I guess the more uncertain political outlook for that region. Mark Draper: So be alert, but not alarmed at the moment. It’s a work in progress. Clay Smolinski: That’s how we’re viewing it. Mark Draper: Thanks for your time Clay. Woolworths is "long on assets and short on market capitalisation" says Vince Pezzullo, Portfolio Mananger, Perpetual Equity Investment Company. Perpetual started accumulating shares late last year and picked up the buying following first half results. Pezzullo believes management have shifted their focus from sales growth to efficiencly, with sales per square metre now a key metric. Despite widespread investor concerns about losing market share to Aldi, Aldi recently lost East Coast market share for the first time. "Our view is that Coles is run particularly efficeintly, if Woolworths is run particularly efficiently, which we think they're on that journey it will be hard for Aldi to grow." With loss making Masters now closing, and the possibility of a spin-off of ALF Pub Group, the situation is also improving for Woolworths non-core busineses. "We still like Woolies, we think it's a $30+ stock at some point". Here are Vince's views on Woolworths, presented in September 2016. Sir John Templeton famously said "The four most dangerous words in investing are 'this time it's different'." As investors, we need to question whether we are entering a new technological and machine age over the next 10-25 years that could disrupt most businesses and possibly society as we know it. 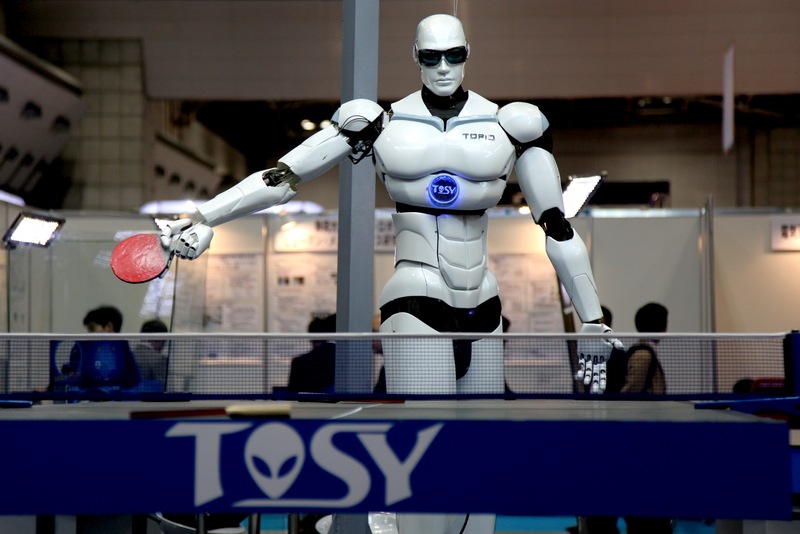 In this regard, the new technological and machine age may be more important than The Industrial Revolution. Quite possibly, this time it is different and whilst heeding Sir Templeton's advice, as prudent investors we believe it would be neglectful to ignore the technological developments that are almost certain to provide substantial threats and opportunities to business. In a recent TED interview, Charlie Rose asked Larry Page (co-founder of Google) what is his most important lesson from business. He said that he has studied why many large businesses fail and he concluded: "They missed the future". According to Magellan Financial Group founder, Hamish Douglass, there is mounting evidence that we are approaching a tipping point of exponential technological advancement, particularly through accelerating improvements in artifical intelligence, 3D printing, genomics, computing power and robotics. In his annual newsletter to investors he outlines what the future technological changes may look like and puts forward several challenges about how they may impact our lives, business and investment. Click on the newsletter below to download your copy to read. - Key megatrends relevant for investors are: slower growth in household debt; the backlash against economic rationalism &rise of populism; geopolitical tensions; aging and slowing populations; low commodity prices; technological innovation &automation; the Asian ascendancy &China's growing middle class; rising environmental awareness; and the energy revolution. - Most of these are constraining growth and hence investor returns. 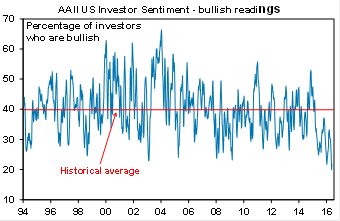 However, technological innovation remains positive for profits and some of these point to inflation bottoming. Recent developments – including the rise of populism, developments in the South China Sea and around commodity prices along with relentless technological innovation – have relevance for longer term trends likely to affect investors. So this note updates our analysis on longer term themes that will likely impact investment markets over the medium term, say the next 5-10 years. Being aware of such megatrends is critical given the short term noise that surrounds markets. 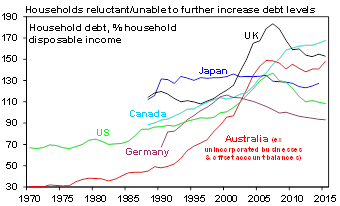 Household debt to income ratios surged from the late 1980s fuelled by low starting point debt levels, financial de-regulation and the shift from high to low interest rates. But it's likely run its course as the GFC and constrained economic growth have left consumers wary of adding to already high debt levels and banks' lending standards are now tougher. This has seen growth in debt slow & households run higher savings rates. Implications – slower growth in household debt likely means slower growth in consumer spending, lower interest rates and central banks having to ease more to achieve a desired stimulus. Slower credit growth is also a drag for banks. Its arguable that support for economic rationalist policies (deregulation, privatisation and globalisation) peaked over a decade ago. The corporate scandals that followed the tech wreck and the financial scandals that came with the GFC have seen an increase in regulation, the Doha trade round has been stalled for years and now the combination of slow post GFC growth and rising inequality (see the next chart) in the absence of the ability to take on more debt to maintain consumption growth are leading to growing populist angst. This is evident in the success of Donald Trump, the Brexit vote and the recent Australian Federal election. Of course this is just the way the secular political pendulum swings - from favouring free markets in the 1920s to regulation and big government into the 1970s, back to free markets in the 1980s and 1990s and now back the other way with each swing ultimately sowing the seeds for the next. But the risk is that the shift away from economic rationalist policies in favour of more populist policies will lead to slower productivity growth and ultimately rising inflation as the supply side of economies are damaged & easy fiscal policy is adopted. Implications – populist polices could slow productivity and set the scene for the next upswing in inflation. The end of the cold war and the stabilising influence of the US as the dominant global power in its aftermath helped drive globalisation and the peace dividend post-1990. 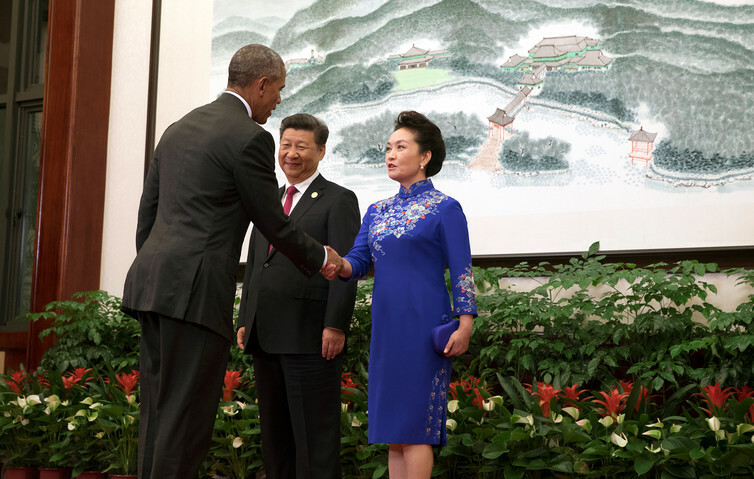 Now the relative decline of the US, the rise of China, Russia's attempt to revisit its Soviet past and efforts by other countries to fill the gap left by the US in various parts of the world are creating geopolitical tensions – what some have called a multi-polar world. This is evident in increasing tension in the Middle East between (Sunni) Saudi Arabia and (Shia) Iran; Russia's intervention in Ukraine; and tensions in the South China Sea (which have recently been increased by a UN sponsored international court ruling in favour of The Philippines regarding island disputes) and between China and Japan. Implications –geopolitical tensions have the potential to disrupt investment markets at times. The demographics of aging and slowing populations have long been talked about but their impact is now upon us. We are living longer and healthier lives (eg, average life expectancy in Australia is already around 83 years and is projected to rise to 89 years by 2050) but falling fertility rates are leading to lower population growth. The impact is more significant in some countries, which are seeing their populations fall (eg, Japan, Italy and even China) than others (eg, Australia, where immigration and higher fertility is providing an offset) and others still where population growth remains rapid (eg, India, Africa and the Middle East). Implications – at the macro level this means: slowing labour force growth which weighs on potential economic growth; increasing pressure on government budgets from health and pension spending and a declining proportion of workers relative to retirees; a "war for certain types of talent"; and pressure to work longer. At the industry level it will support growth in industries like healthcare and leisure. At the investment level it will likely see an ongoing focus on strategies generating income (yield) while at the same time providing for "more stable" growth to cover longevity. Since around 2008 (for energy) and 2011 (for metals) the commodity super cycle has been in decline as the supply of commodities rose in response to last decade's commodity price boom combined with somewhat slower growth in China. However, after 50 to 80% peak to trough price declines and with supply starting to adjust for some commodities (eg oil) it's quite likely that we have seen the worst (in the absence of a 1930s style recession). This doesn't mean the next super cycle commodity upswing is near – rather a long period of base building is likely as we saw in the 1980s and 90s. Implications – Low commodity prices will act as a constraint on inflation and interest rates but the likelihood that we have seen the worst may also mean that the deflationary threat will start to recede. In other words it adds to the case for a bottom in global inflation. A range bound environment less clearly favours commodity user countries over producers. The impact of technological innovation is continuing to escalate as everything gets connected to the internet. The work environment is being revolutionised enabling companies to increasingly locate parts of their operation to wherever costs are lowest and increasingly to automate and cut costs via automation, nanotechnology, 3D printing, etc. The intensified focus on labour saving is likely good for productivity and profit margins but ambiguous for consumer spending as it may constrain wages and worsen inequality and could ultimately hamper growth in emerging countries. There is also the ongoing debate that with so many "free" apps and productivity enhancements, growth in activity (GDP and hence productivity) is being underestimated/inflation overestimated and consumers are doing a lot better than weak wages growth implies. So fears around inequality and stagnant real incomes may be exaggerated. Time will tell. Implications – technological innovation remains a reason for inflation to stay low and profit margins to remain high. But also a potential positive for growth. Low levels of urbanisation, income and industrialisation continue to mean that the emerging world offers far more growth potential than the developed world. While big parts of the emerging world have dropped the ball (South America and Russia particularly), the reform and growth story remains mostly alive in Asia – from China to India. Both China and India are seeing a surging middle class, with China's growing from just 5 million people 15 years ago to now 225 million. This means rising demand for services like healthcare, leisure & tourism. Implications – favour non-Japan Asian shares (allowing of course for risk). Tourism and services should benefit particularly from the rising middle class in China and India. Concern about the environment is continuing to grow and higher social standards are being demanded of governments and corporates. This reflects a range of developments including increasing evidence of the impact of human activity on the environment, younger generations demanding higher standards and social media that can destroy reputations in a flash. Implications – this will favour companies that adhere to high environmental, social and governance standards. Renewables share of power production will only grow as alternatives like solar continue to collapse in cost and solar energy storage becomes mainstream. Likewise advances in battery technology are seeing a massive expansion in the use of electric cars which will feed on itself. Implications – this has huge negative implications for oil and coal and along with the impact of shale oil production will keep a ceiling on energy prices. Firstly – several of these trends will help keep inflation low, eg, slower growth in household debt, low commodity prices automation & the energy revolution. By the same token if commodity prices have seen the worst and government policy shifts towards stimulus we may have seen the worst of deflationary and disinflationary pressures. Secondly – several are also consistent with constrained economic growth, notably aging and slowing populations, slower growth in debt, the backlash against free markets and geopolitical tensions. This is not universal though as increasing automation is positive for profits. This is all still consistent with ongoing relatively low interest rates (albeit we are likely around the bottom) and relatively constrained medium term investment returns. Several sectors stand out as winners including health care and leisure but producers of energy from fossil fuels are potential losers.